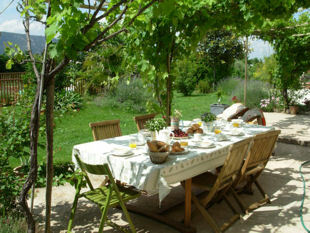 ﻿ Luberon Cycling Vacation| Self Guided| Gardens and Pool. 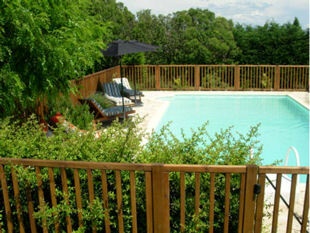 THE GARDENS & POOL AT OUR B&B BASED PROVENCE BICYCLE TOURS. We also have a lot of space outside for you to enjoy... Take a dip in our large 5 by 10 metre covered pool (open from end April) or simply relax on a sun lounger amongst the lavender. 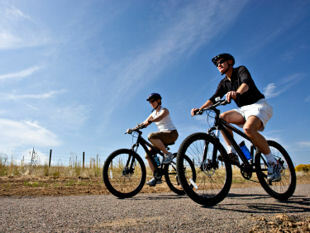 We also have a large terrace where you can take time to relax in a deck-chair after the bike. Or why not take a stroll around the landscaped garden with its stone fountain & many fruit trees (peach, fig, cherry, pomegranate, apple, pear, plum etc), through the vineyards and among the numerous lavender and rosemary plants. Or if you prefer to be indoors, then relax in the cool on a canapé next to the stone manger. "The house was terrific, and oh yes--there were peaches off the trees in the yard, cherries from down the way and of course the lavender blooming." 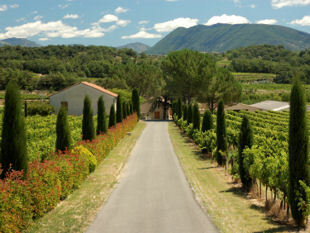 Belle - US - Jul 13 - Provence cycling tours review. "The pool was perfect for jumping into after a long ride and was a real sun trap." 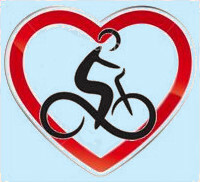 Richard & Annette - UK - June 10 - Provence cycling tours review. 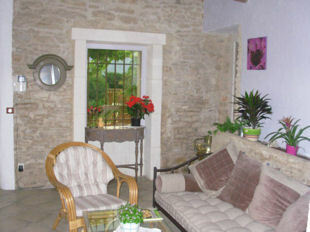 "A lovely house set in a beautiful garden full of fruit trees and lavender cannot fail to charm." Barbara - UK - June 2009 - Provence cycling tours review.